 SCDNR’s Heritage Trust Program is accepting applications for interns on the high school, undergrad and graduate levels. See if you qualify for any of these exciting opportunities. Educator workshops also offered. Will you be a rising high school junior or senior during the summer of 2018? Thinking about becoming a professional archaeologist? Find out if a career in archaeology is the right fit for you before heading off to college. Spend a few weeks with the SCDNR Cultural Heritage Trust team in the field and lab. Cultural Heritage Trust High School Summer Internships cover topics including archaeology excavation techniques, archaeology laboratory practices, cultural resources public interpretation, and cultural heritage preserve management. Cultural Heritage Trust High School Summer Internships are based at Parker Annex Archaeology Center in Columbia, SC and are unpaid. Applications due: March 2, 2018 by 5 pm. Are you a current undergraduate student at a South Carolina college or university? Studying archaeology, anthropology, history, museum studies, journalism, or other related fields? Spend a semester (fall, spring, or summer) with the SCDNR Cultural Heritage Trust team connecting what you are learning in the classroom to real projects that you can add to your portfolio and resume. Cultural Heritage Trust Undergraduate Internships cover topics including archaeology excavation techniques, archaeology laboratory practices, cultural resources public interpretation and design, and cultural heritage preserve management. We match your academic interests and creative abilities with ongoing projects. No busy work here. Cultural Heritage Trust Undergraduate Internships are based at Parker Annex Archaeology Center in Columbia, SC and are paid. Are you a current graduate student at a South Carolina college or university? Are you conducting graduate research within South Carolina? Does your research focus on topics within the fields of archaeology, anthropology, history, architectural history, museum studies, journalism, or other related fields? Interested in conducting thesis or dissertation work on a SCDNR property or collection? If you answered yes to any of these questions then a Cultural Heritage Trust Graduate Fellowship might be the right fit for you. Cultural Heritage Trust Graduate Fellowships are based at Parker Annex Archaeology Center in Columbia, SC and are paid. Educators have an opportunity to participate as learner in two-day workshops focusing on the nationally recognized Project Archaeology curriculum. These two-day workshops are hosted throughout the year. A total of 20 educators are accepted with full scholarships to participate in each workshop. Educators will have an opportunity to explore how science and social studies are integrated in archaeology, while also preparing to teach Project Archaeology curriculum in their own classrooms. More information about Project Archaeology can be found at projectarchaeology.org.